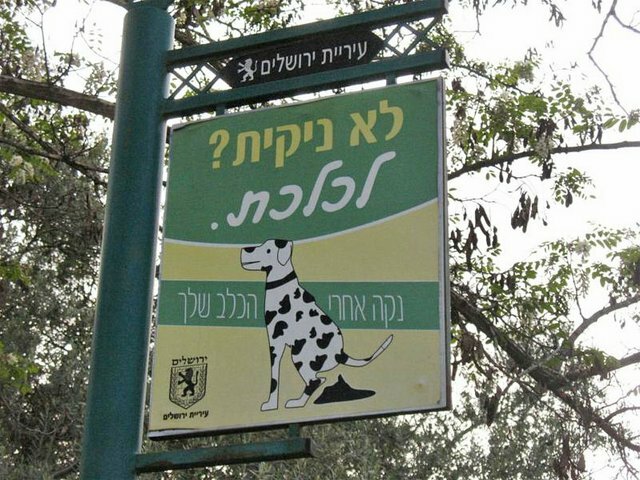 The Jerusalem municipality is planning to compile a DNA database for dogs in the Holy City in a bid to combat the problem of dog poo by tracing droppings back to the offending pooch. In a statement, the municipality said it would first be collecting saliva samples from dogs in the city before inputting them into a citywide database. “The municipality pilot project calls for establishment of a database of dog DNA to allow us to reduce the soiling of pavements, parks and public spaces,” the statement said. Once the DNA database has been compiled, the city will conduct testing to see whether the samples can be effectively matched to dog droppings found around the city. Israeli daily newspaper Haaretz said the municipality hoped to get saliva samples from around 70 to 80 per cent of the 11,000 dogs registered in Jerusalem. Once the database is that complete, the programme will begin trying to match droppings to the offending canine, charging each pooch’s owner a fine of 750 shekels (B6,100).